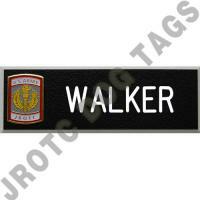 Army name plate for JROTC / ROTC / Active Duty. Price includes name engraved on Army name plate and tip backings. ALL LETTERS WILL BE CAPITALIZED UNLESS SPECIFIED.